Monday began a new week with the kiddies! We did a Christmas day with them, so we started off with a writing activity and then for their craft they got to make Christmas cards that they could keep or give away if they wanted to. Check out some of the kids’ holiday wishes here. 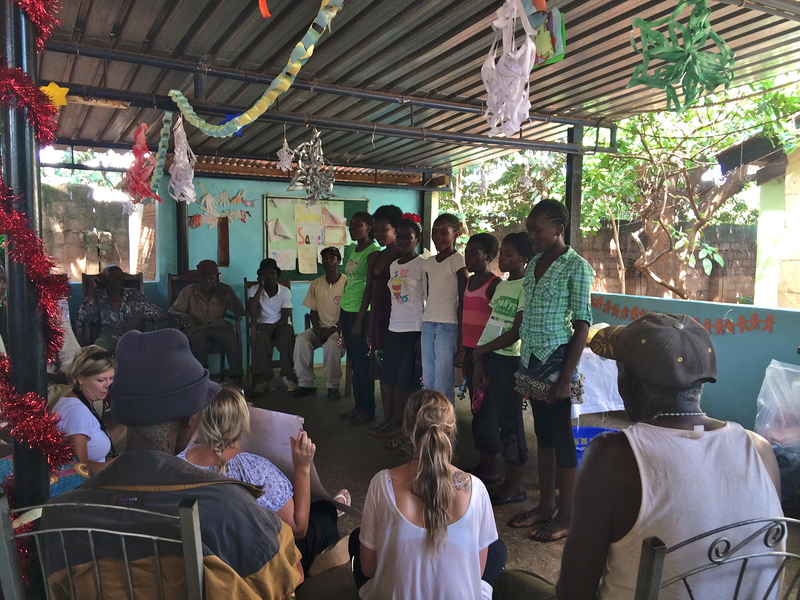 In the afternoon we all went to the Maramba Old People’s Home to throw them a Christmas party. 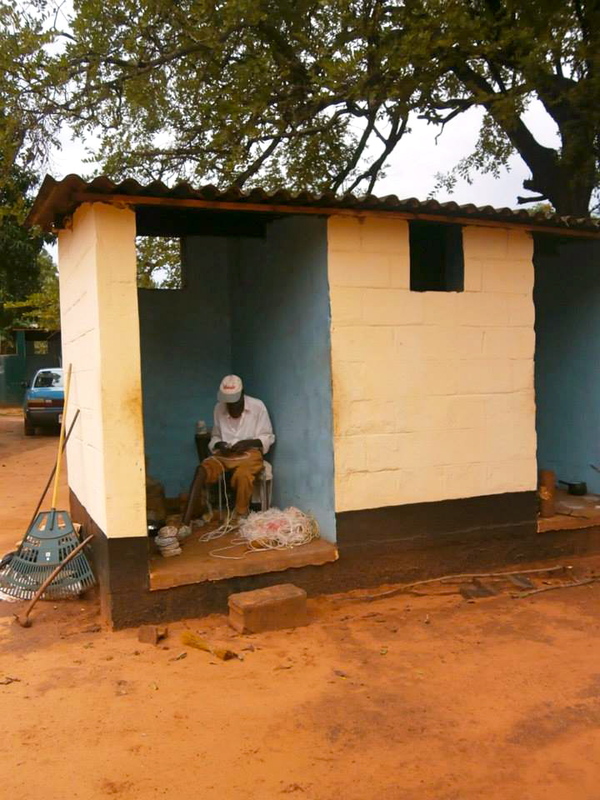 With the average life expectancy in Zambia being only 50 years old, it is a big honor to be an elderly person in the country. Elders are always shown upmost respect and are typically taken care of by their families through the end of their lifetime. The elders in the Old People’s Home live there because they have no other family left to take care of them, so it really is a heartbreaking situation. We got there and all helped to decorate for the party as the old people slowly gathered together in the room. The girls that sang last night were also singing carols for the old people today, and it was wonderful to see the smiles on the old peoples’ faces when they sang. We ended up having to stay longer than planned, so the girls were encouraged to sing more songs that they knew. It was so touching to see them singing carols for their elders, especially the songs they knew on their own that they had not even rehearsed together. After the carols we presented Christmas gifts to the old people- everyone got a brand new pair of shoes! 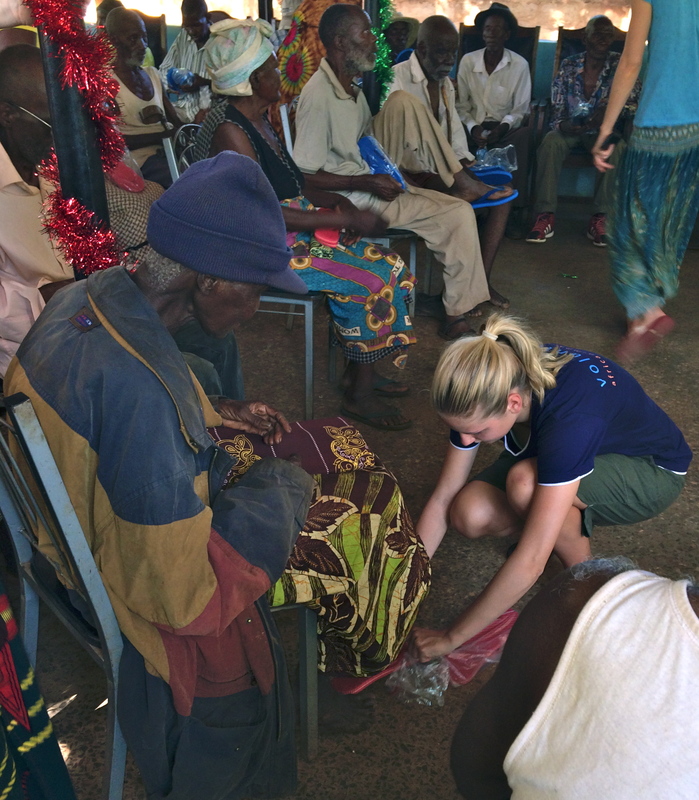 African Impact raised money to purchase new shoes for the old people for Christmas, and they loved their new gift. To wrap up the afternoon we all played different games with the old people that they really enjoyed. When we returned, we found that possible bed bugs may have been discovered in the room next to ours. As an extra precaution, they decided to spray the room to kill any existing bed bugs and prevent any new ones from appearing. They also wanted to spray our room since it was right next door to that one. So both rooms all had to move out of the volunteer house with all of our belongings into the backpackers for the night. Surprise, surprise, welcome to Africa! We moved back in the next day and the rest of rooms moved out for two nights so their rooms could be sprayed. What an adventure!